Do you love the yummy waffle cone at Bruster’s? They are giving away free small waffle cone when you wear your cool PJ’s –spread the love and tell your family and friends, too! Drop by at Bruster’s store and they will be more than happy to serve you with delightful treat! 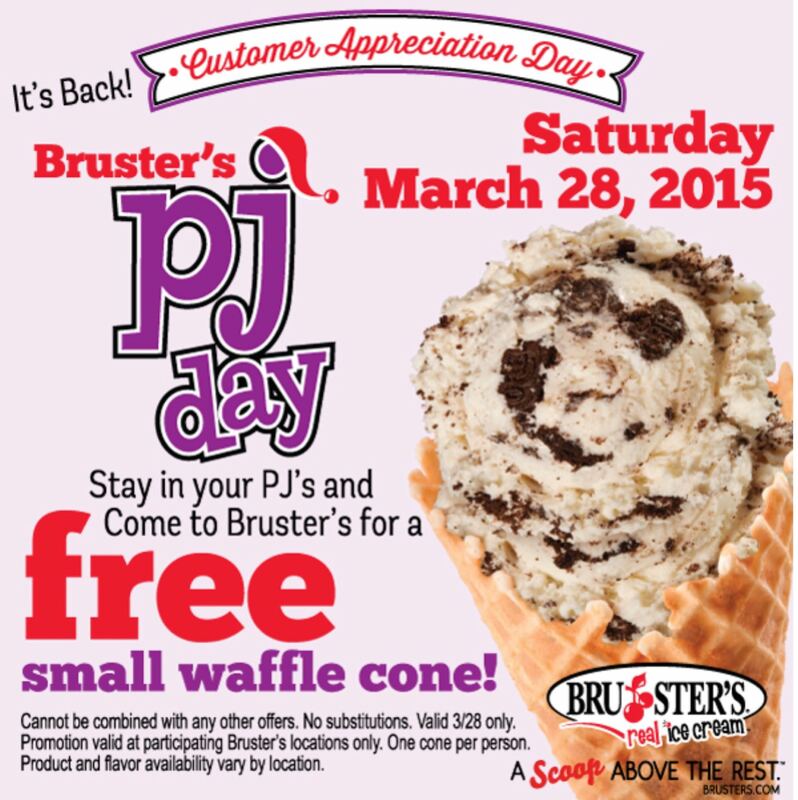 Celebrate Customer Appreciation Day with Bruster’s! For more details, check out here.